Tadeo & Silva Immigration Attorneys, Atlanta, Georgia. We understand that hiring a lawyer can be one of the most stressful and costly moments in one’s life. Our affordable legal fees and flexible payment plans relieve the stress without compromising the quality work and expertise that our attorneys bring to every immigration case. SET GOALS AND HAVE A GAME PLAN! The attorneys at Tadeo & Silva pride themselves on being very hands on with their clients and their family members to help them achieve their immigration goals. Communication is key! When you hire our attorneys, you get honest, realistic expectations and an attorney that will ease the inevitable anxiety that comes with navigating the tough immigration system. SERVING THE ATLANTA AREA AND BEYOND! Whether you are in Atlanta or anywhere in the United States, Tadeo & Silva is able to take your immigration case and give you the best results your case can get. Our attorneys have managed cases from clients all over the country and internationally. United States immigration laws are complex and confusing for anyone who isn’t intimately familiar with the subject. However, many people who deal with immigration laws aren’t looking to acquire legal experience in this field. They just want to become a lawful permanent resident or a citizen of the U.S., as well as help their relatives obtain legal status in the country. At the Tadeo & Silva Law Firm, we pride ourselves on knowing the ins and outs of immigration law and putting our extensive legal experience to work as your legal advocate. 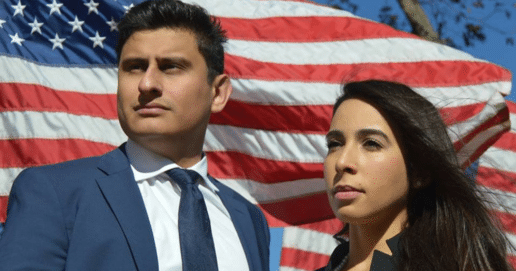 We focus on helping families remain together or reunite in the U.S.
Peter A. Tadeo and Massiel Silva Tadeo are Atlanta lawyers who focus exclusively on helping people live and work in Georgia and the greater United States. Unlike other Georgia lawyers, we are solely interested in assisting people with immigration issues: helping you enter the U.S to live and work, fighting removal orders, or whatever else your immigration situation may call for. As attorneys who have dedicated our entire careers to immigration issues, we are proud members of the American Immigration Lawyers Association (AILA). Additionally, Peter is the treasurer of the Georgia Hispanic Bar Association. No issue is too complex or confusing for us to resolve. We have years of experience handling family-based permanent residency, deportation defenses, citizenship and hardship waiver applications, and more. If you and/or family needs help with permanent residency matters, we are here to represent you. The lawyers at Tadeo & Silva Law Firm are effective, aggressive and compassionate immigration lawyers in Atlanta, GA. We have the capability and experience to resolve your immigration matters. Choosing an experienced immigration lawyer in Atlanta is important. Choosing an experienced immigration lawyer who has a personal connection to immigration issues is even more vital. At Tadeo & Silva Law Firm, we understand what it is like to be fighting to stay in America, struggling to obtain permanent residency, or waiting for a family member to be granted permission to join us here in Georgia. Attorney Peter A. Tadeo, an owner and founder of the Tadeo & Silva Law Firm, is the son of Italian and Mexican immigrants. His family history has helped him to have a unique understanding of the hardship and struggles that come with fighting for and maintaining permanent resident status. 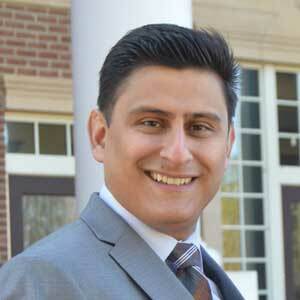 Tadeo has lived in Atlanta since 1995 and graduated from the Walter F. George School of Law at Mercer University. Since becoming a member of the Georgia State Bar, he has devoted his career and his firm’s entire practice to immigration law. Tadeo sees Atlanta as a city of opportunity for all and wants to help families stay together in Georgia. This is what motivated him to become a lawyer. Massiel Silva Tadeo, an owner and partner at the Tadeo & Silva Law Firm, also has a personal connection with immigration law. Born in the Dominican Republic, she experienced the challenges of becoming a legal resident in the U.S firsthand. This experience, along with her time working at the Latin American Association during college, inspired her to become an advocate for the immigrant community in Atlanta. 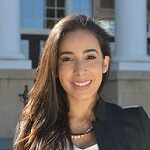 After graduating from Emory University School of Law, Mrs. Silva Tadeo dedicated her career to immigration law. She specializes in family green cards, hardship waivers, and removal defense. The attorneys at Tadeo & Silva know the challenges families face when trying to achieve their dream of living and working in the U.S., and they want to achieve their clients’ immigration goals. That is why they work hard every day as immigration lawyers Atlanta. Even in the most challenging cases where circumstances are stacked against you, they are committed to fighting for each and every client who needs their help. U.S. Citizenship and Immigration Services (USCIS) are responsible for granting and denying applications for permanent residency, and they expect perfection when applicants complete applications to stay in GA or anywhere in the United States. The agency also fights hard to deport anyone it has determined should not be in Georgia. That’s why people trying to obtain a green card or fighting to remain in GA need an immigration lawyer Atlanta who is willing to fight for them. At Tadeo & Silva Law Firm, you will have the benefit of not one but two attorneys who are ready to battle the federal government on your behalf. Every one of our clients has the advantage of working with a team of attorneys with plenty of legal experience. This means your case will never be passed to an inexperienced low-level associate after your free consultation with the partners, like some firms do. Our attorneys are in good standing with the Georgia Bar and have plenty of experience in Atlanta’s tough immigration courts. Tadeo & Silva are respected in the GA legal community. Please, do not take our word for it: look at our many client reviews, and rest assured that our attorneys provide the highest-quality legal representation for immigration cases in Georgia. When you have an immigration issue that needs to be resolved efficiently, you need the legal help of Tadeo & Silva. The attorneys at Tadeo & Silva know what is at stake with each case they accept. You and/or your family member may be fighting to stay in the country. You may be out of work due to permit issues. You may have a loved one being detained in an ICE facility. Our team of attorneys do not take these situations lightly. Working as a team, we advocate for you or your loved one’s rights aggressively and quickly to obtain the most favorable results in every case. Although Tadeo & Silva is a small firm, we are very strong. We devote ourselves to every single case we take on. Both Peter and Massiel are trial-tested and not afraid to take your case into the courtroom if necessary. Along with the experienced team at Tadeo & Silva Law Firm, both partners will stay in touch with you, frequently updating you at every stage of your case. Whatever your immigration problem is, know that you have two immigration lawyers in Atlanta ready to fight on your behalf. Contact us immediately for immigration help from obtaining citizenship to deportation defense. We look forward to speaking with you. The consultation fee will be applied to the cost of your legal services. The Atlanta Detention Justice Center is also known as the Atlanta City Jail. The Atlanta City Jail is also a contract detention center for the Immigration and Customs Enforcement Service. The Detention Justice Center holds approximately 160 ICE detainees. 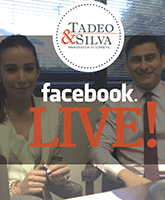 Atlanta immigration live is a free, monthly video series from Tadeo & Silva Immigration Attorneys. Our trusted team of immigration attorneys answers real questions from members of the community, offering helpful advice. Tiene un problema de inmigración? Estamos abogados de migracion en Atlanta GA. Tadeo y Silva pueden ayudarlo a lograr sus objetivos de inmigración. Naturalizacion, deportacion, inmigracion de familia, y perdones.